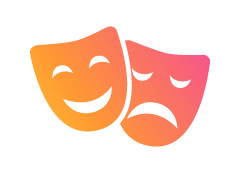 Auditions for Joondalup Encore Theatre Society's next production "After You've Gone" (A Horrible Comedy) will take place at Padbury Hall this Saturday 30 March at Padbury Hall, Caley Road Padbury, at 1:30pm. Eliane is an identical twin. Both twins played by the same person. The twins personalities are polar opposites; Eliane is outrageous, glamourous and wayward, Maidey is sober and serious. Eliane is dead and features as a ghost. Was divorced at the time of death, and very wealthy. He is a doctor and has been missing in action, presumed dead. A rebel out to change the world. A flirt and a tease. American pilot. Typical all round good guy. Aims to please. Incredibly polite. Loves Lucinda and is taking her home to meet Mom.